Social Media Shaming Videos: Discipline For A Digital Age? There seems to be a growing trend of parents using social networking sites and viral videos to embarrass, shame, and punish their children’s actions. Over the past few years we have seen kids holding signs on sites like Facebook that share details about their wrong-doings, parents smashing their belongings, and other form of new-age punishments meant to keep unruly children in check. The real question about this practice is do people really know enough to understand the repercussions of placing things like this online? Could this viral video stick with him for life? What will his peers reactions be? Will it hinder his future job applications or school acceptance chances? This practice makes people in older generations very happy that there was no such thing as Youtube or Facebook during their wonder years. Whatever is placed online lives in cyberspace forever. This is a lesson we are all learning, some people the hard way. As social media & digital marketers we’re always looking for viral content and ways to create it. It will be interesting to see what other trends become the norm in the upcoming years of our digital world discoveries. The NFL is in the social media spotlight again but not for the reasons they would like to be. 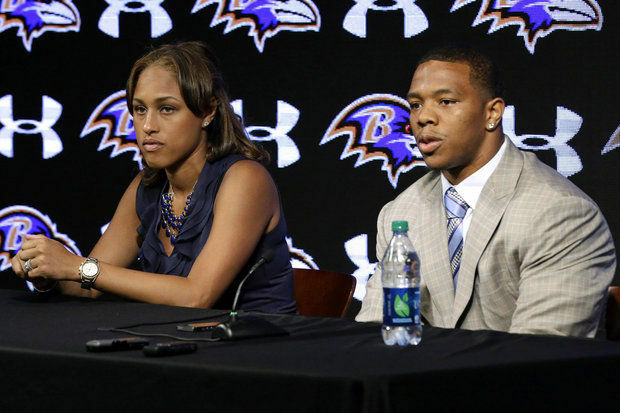 Baltimore Ravens running back, Ray Rice, previously had received a two week suspension for a domestic violence incident involving his then fiancee, Janay Palmer. Rice was arrested on assault charges following a February 15th altercation in New Jersey in which he had allegedly struck Palmer so hard that he had knocked her unconscious in an elevator. After his menial punishment was handed down from the NFL people took to social media to relay their dismay and anger over the two week suspension. Many compared the incident with that of another player for the Browns, Josh Gordon, that was suspended for an entire year for smoking marijuana. While the NFL did not extend Rice’s suspension all of the negative feedback has made them reconsider their policies on domestic violence. 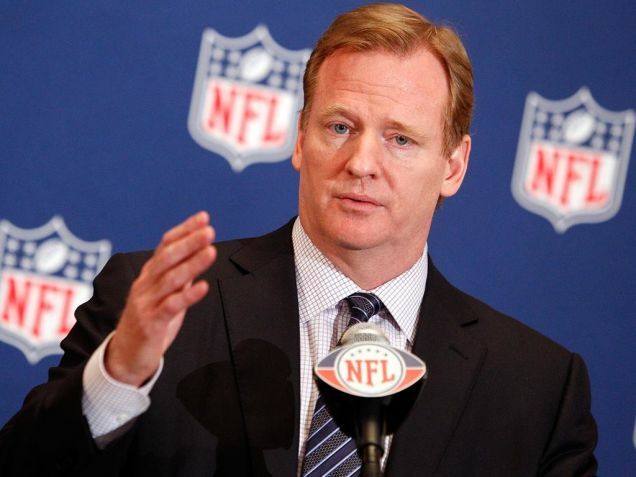 Weeks after the incident Roger Goodell, Commissioner of the NFL, revealed a new domestic violence policy. Six games for a first offense. A lifetime ban for the second. This week, months after the abuse, the tape of the altercation between Rice & Palmer was released on TMZ’s Sports website. In the video, as seen below, Rice and Palmer can be seen having a small argument outside in the hall. They step into the elevator and Rice swings at Palmer. She races towards him and he punches her before she falls into the floor, knocked out cold. He can then be seen trying to drag her limp body out of the elevator. Security shows up a few moments later as she lies face down on the floor. He tries to revive her over and over again. She barely moves. “We requested from law enforcement any and all information about the incident, including the video from inside the elevator. That video was not made available to us and no one in our office has seen it until today,” the NFL said in its statement. Goodell says that now that he has viewed the new evidence in the Ray Rice case he admitted that he “didn’t get it right” with Rice and that he has decided to triple his original suspension adding five more games on top of the game that he missed Sunday in the opening NFL season weekend. Although Rice has avoided any type of incarceration for the abuse, the Ray Rice case just goes to show how important social media has become in giving the everyday person a voice. If complaints from fans can change an organization that is as big as the National Football League we can only imagine how much effect social media can have on smaller, more intimate corporations. The Baltimore Ravens have just announced that they have cut Ray Rice from their NFL team after the release of the video of him knocking out his now wife. Rice has also been suspended from the National Football League, indefinitely. The fans have spoken their distaste for the player all over social media and the NFL is listening. A family in Flint, MI is under investigation today after a neighbor posted a video on social media of their young child abusing a puppy. In this video, posted below, you can see the boy, aged around 3-5 years, grab the puppy multiple times and throw him or her into the road, the puppy escapes for a few seconds as a car passes. Once caught, the boy brings the puppy back and begins throwing it in the center of the road again. After each throw the boy looks down the road as if he is watching for a car enthusiastically. The puppy limps back up the driveway multiple times only to be grabbed back up and tossed roughly into the middle of the pavement. The neighbor that shot the video, Karl Collyer, can be heard telling the boy to “knock it off” as it sounds like a car is approaching. The child then drops the puppy and runs away and back into his home. This video has gone viral with over 7000 shares and has gained attention from all over the world. A flood of concerned people have been writing, calling, and posting on the local law enforcement’s social media pages. It has also sparked an online petition calling for banning the abusive boy’s family to own pets which has over 2000 signatures so far. As a result, the puppy was removed from the home along with four other dogs. Neighbors commenting on the original posts have brought into question other abuses in the home directed towards the child. Another post states that the people in the home had pulled a gun on Karl Collyer previously when he had confronted them. The police investigation will be able to address these concerns. Sherrif Pickell’s post has gained comments from all over the United States and has even brought attention from abroad with comments from Italy, Australia, and Scotland. The small town Sheriffs office is about to be made very aware of the power of social media with the thousands of people watching and following this story. People are concerned not only for the puppy but for the emotional well-being of the child. Many are asking for the child to be removed from the home as well until an investigation of his home life can be evaluated. “I just couldn’t believe my eyes,” says Pickell. “When you see the way he picked this puppy up and threw it again and again and again, you know it just didn’t start.” The child’s grandfather, Kevin Stange, is the owner of the puppy. “We can’t allow a little puppy to be treated like that. He also has two more dogs,” says Pickell. Without the concern of Karl Collyer and the fast spreading nature of social media this puppy and child’s fate may have never come into question. The power of viral content online is only in it’s earliest stages of being recognized. It will be exciting to witness what the future of technology holds for our ever-evolving world. What effect do you think that social media will have on exposing abuse in the upcoming years? “Yes Kevin Stange is in Jail pending trial for a totally unrelated charge of Felon with a Gun. If you live in my Neighborhood you would be appalled by Kevin Stange’s behavior for my last 2-1/2 years and other neighbors even longer. You have your aggressive people then you have your bullies. Kevin is a Domestic Urban Terrorist. I will be posting a series of Videos to show you daily life on Belle Ave as an Enemy of Kevin Stange. Every day he will drive by making loud obscenities and rude comments to the neighbors or me with no stopping it from Flint Police Department. His Buddy Flint Police Officer Summers who in my opinion is corrupt did not handle the calls regarding Kevin correctly. I get along with all my neighbors and everyone gets along with everyone else, except Kevin. Hopefully we can put this in our rear view mirror and make FLINT BETTER. Flint 911 is a tragedy with a lot of 8 hour response times or no responses at all which include false incident logs of no call back answer or no one home excuse list. Officer Summers was always on majority the responding Officer that got nothing done. I am pushing for an Common Mutual Aid Package for Police Services with other Departments (MSP, GenCo Sheriff and others.) There will be a need in cost sharing. Eliminate the Flint 911 immediately and transfer to Gen Co 911 Services for proper police respose. No more 911 operators saying “we will be out” with no response. IT WILL COST MONEY BUT THIS IS NOT WORKING. “THE BUCK STOPS HERE” IS THE NEW SLOGAN FOR FLINT 911 calls. Anything less is unacceptable. FLINT cannot recover without proper Police services. It has been reported that arrangements are already being made to get the 4-year-old boy that tossed the puppy into the middle of the road professional help. The puppy will be up for adoption at a later date. Sheriff Pickell has planned to have the investigation evaluated by the end of the week to determine if charges will be made. Stay tuned to Social Esteem Media for updates on the situation. Three anti-Islamic State, teenage activists in Beirut have created a growing social media trend that they hope will rival the popular #IceBucketChallenge by setting fire to an Islamic State flag in the middle of Sassine Square in Lebanon’s capital Beirut and posting it for the virtual universe. 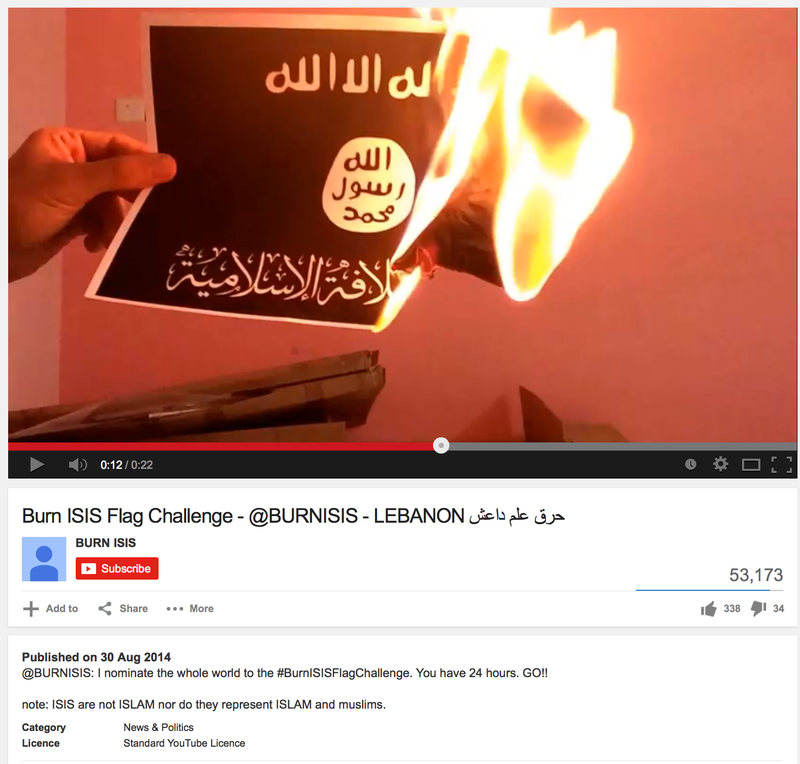 Not long afterwards another young activists began posting footage of themselves on their Youtube account BURN ISIS burning the IS flag and captioned it: “I nominate the whole world to #BurnISISFlagChallenge You have 24 hours – GO!!”. After some comments expressing concern over some of the language on the flag being burned the group added this to the description of the video: “note: ISIS are not ISLAM nor do they represent ISLAM and muslims.”. 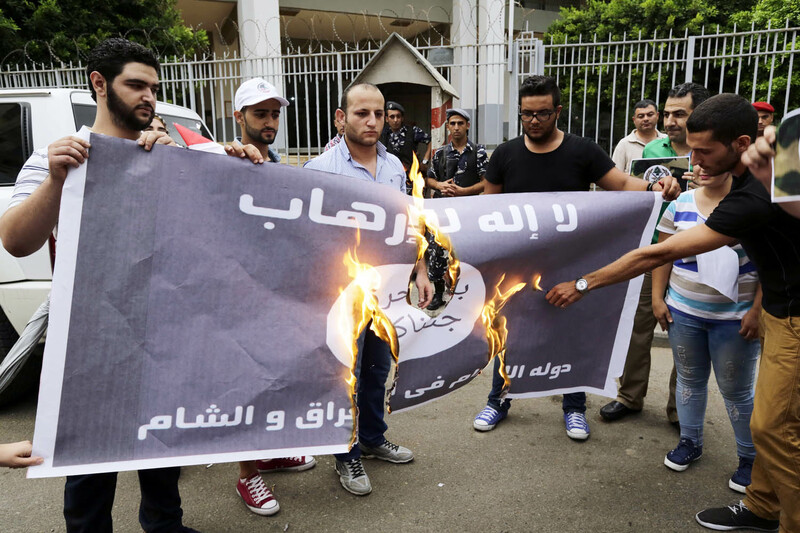 Lebanese justice minister Ashaf Rifi has spoken out against flag-burners threatening that they should face “the sternest punishments.” There are some Lebanese government officials that are supportive of the flag burning challenge. Ibrahim Kanaan of Lebanon’s Change and Reform group in their parliament has offered representation to the teenagers if they are charged with a crime for burning the flag. 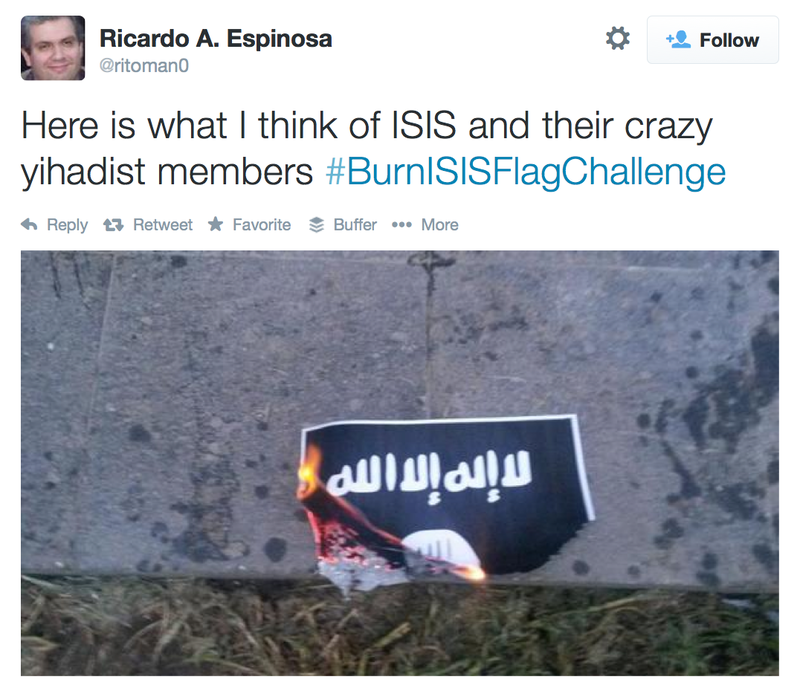 Word of the #BurnISISFlagChallenge has began spreading quickly on Twitter, Facebook, & other social media accounts. This challenge has not only spread to the citizens of Lebanon and the Middle East, it is also slowly gaining popularity in other countries such as Mexico & the United States where some people are printing out images of the flag in order to burn the image. ISIS has been known in the media to be more involved in the social media world than any extremist organization to date. Their use of these tools shows the darker applications for web technology through the spreading of terror and hate. It is amazing how quickly the world of social media can spread a trend to unite like minds and challenge ideals. Before the Internet became the communication tool that it is today a challenge like the #BurnISISFlagChallenge or the #IceBucketChallenge would have taken months or years, if ever at all, to spread as far as it can in just a few days. The future of news, media, and activism will continue to become more intertwined with the unfiltered voices that tell their stories online. Twitpic is closing up shop and it’s placing the full blame on Twitter. Founder and CEO of Twitpic, Noah Everett, made the announcement this week that his company would stop all operations on September 25, 2014. According to Everett, Twitter’s legal team made contact with Twitpic’s attorneys and insisted that they abandon their trademark application. If Twitpic refused to comply then Twitter threatened that it would remove the service’s access to their API, the code that allows Twitpic’s users access to share their photos on Twitter. “We’re sad to see Twitpic is shutting down,” a Twitter spokesperson said. All of the content on Twitpic will be gone forever after Septemeber 25, 2014. Don’t fret though, users won’t have to work too hard to get copies of their content before the site is shut down. A download feature where users can retrieve all of their photos and videos quickly and easily will be added to the main site in the upcoming days. The sad news of Twitpic’s demise isn’t as much about losing one service attached to Twitter, it brings a level of uncertainty to future developers. Why create compatible sites if you are unable to trademark your work? We will have to wait and see what type of affect the Twitpic decision will have on the future of integrated Twitter applications but it’s sure to have some sort of effect on the Twitter’s future. Twitpic’s closure news came in hours after the Wall Street Journal reported that Twitter is planning to debut a Facebook-style, algorithmically curated newsfeed which created a huge backlash among Twitter users, even coining the hashtag #RIPTwitter. If the social media giant continues to lose support of users, investors, and developers it could follow in the grim footsteps of other extinct social media dinosaurs such as Myspace. Are you sad to see Twitpic go? Does this change your outlook on the future of Twitter? Robin Williams shared his gift of laughter with the world during his lifetime. The outcry of love and sorrow for Williams in the world of social media is proving that he made a deep impression on his fans. Williams apparent suicide has spread across the virtual world of social media like fire. News dealing with tragedy travels faster now than we have ever been able to reach before. This expanding world of instant news through social media sharing will only increase as more of the world has access to affordable, reliable internet service. Will we ever reach our goal of instant news spread to everyone simultaneously? Fans are saying their goodbyes and reaching out, urging others to deal with inner demons and face depression – telling them that they are not alone. Other organizations have also featured Robin Williams in their content. The “Rethink Homelessness” campaign paid tribute to Robin Williams by highlighting societies issue in dealing with mental illnesses and the cause of ignoring those suffering from mental illness and depression. One thing is certain, he is missed already. Social media has changed so much about the way we live, how we love, and how we get our news. A tragic shooting by a Ferguson, MO police officer of an unarmed teenager, Mike Brown, has brought about anger, rioting, shooting, looting, arson, & injuries. The town of Ferguson has been turned up side down and yet the national media seems to be silent on the issue. The local Quicktrip has been looted and burned to the ground. Store owners are rushing to their establishments to try to deter the protestors from any further theft and destruction yet CNN is still running stories on the war on Iraq, the “super Moon”, and what is happening in Gaza. Mike Brown murder causes riots in Ferguson, MO. People are turning to social media to see photos, videos, and other content showing what is happening in St. Louis, MO. 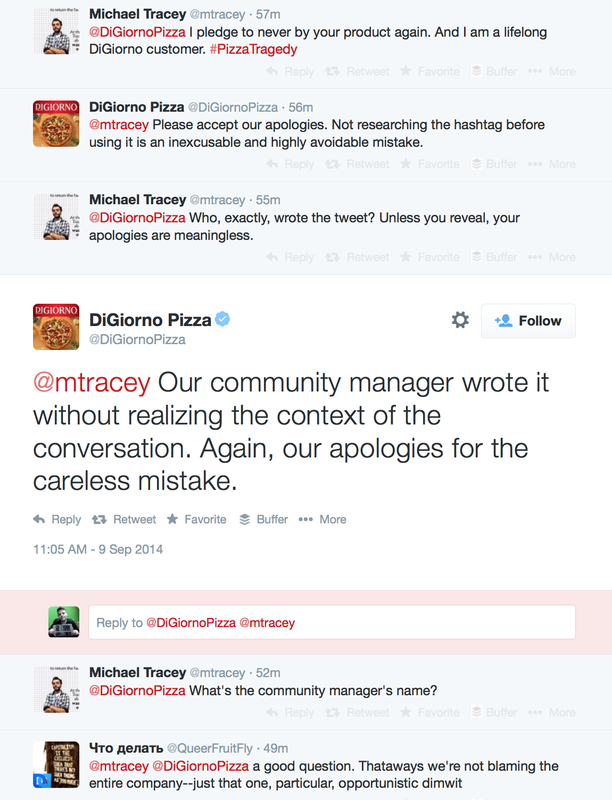 Social media gives every average person the ability to break news before the professionals. In April, 1992 during the LA Riots the world had to wait to hear about the unrest in Los Angeles while 16 years later the world has the ability to watch the riots in real time, on-line through the eyes of the people that are living through it. Social Media breaks news of Ferguson Riots after unarmed teen Mike Brown was gunned down by police. This photo shows Quicktrip burned down after looting. It has been said that those that do not learn history are destined to repeat it. There are lessons to be learned on both sides of the tragedy. Perhaps the free flow of information that social media will help us all to remember history with a little more detail so that we can avoid a future riot situation. The national media has been caught asleep at the wheel on this issue but thanks to social media the story is unfolding live in our living rooms. What newsworthy event did you find out about on social media before you heard it on the national news?